420 school age children are now safe from burns while trying to study by kerosene lamps in their homes. Thousands of people are breathing cleaner air, and the quality of a Village has improved. The Village of Los Tambos is located on a plateau over the jungle canopy. It is very easy to become lost with the curving roads and lack of road signs. After a long journey, this sign to Los Tambos was a welcome sight. The Village of St. Matthew's anxiously await the Grid Earth Project distribution of Waka Waka solar powered lights from the Grid Earth Project, to replace the toxic and dangerous kerosene lamps currently being used. 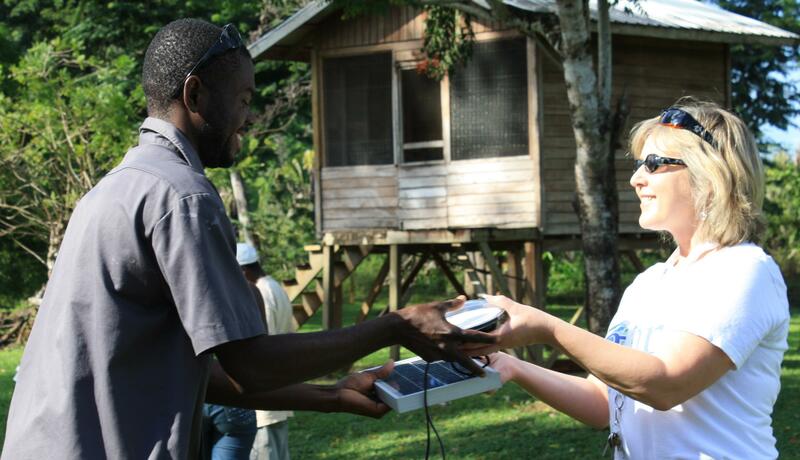 Through generous donation of Faith UCC The Grid Earth Project was able to deliver safe, clean and efficient solar lighting to people who had no access to safe light, changing their world forever. 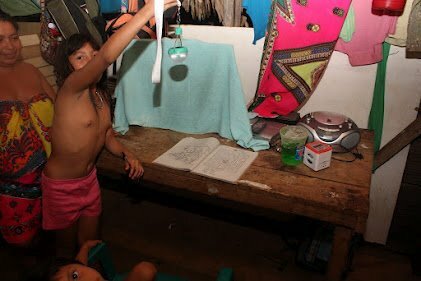 Like most villages in Central America, La Gracia was dependent upon dangerous and toxic kerosene lamps which in the past have been the cause of countless injuries. This is no longer the case in La Gracia. Rotary Club of La Grange Brings Light to The Village of San Marcos. Working with the Grid Earth Project the Rotary Club of La Grange is working to save lives in the village of San Marcos. 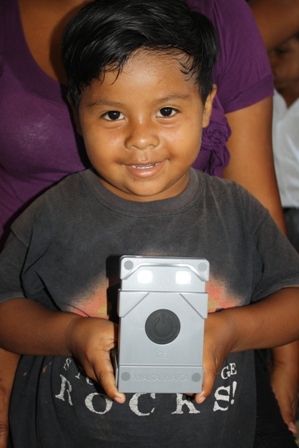 Children in Santa Teresita no longer suffer for the opportunity to get an education. 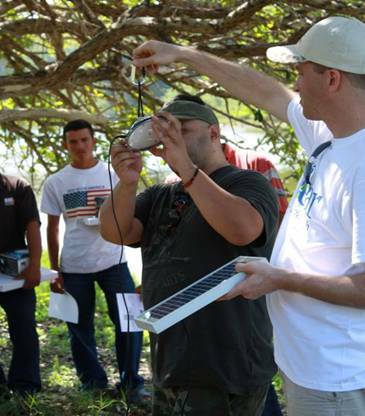 A small village is brought even closer together by the use of solar lights. Some of the Children in Yalbac walked to school two hours early in order to do their homework because it was too hard to study by kerosene. 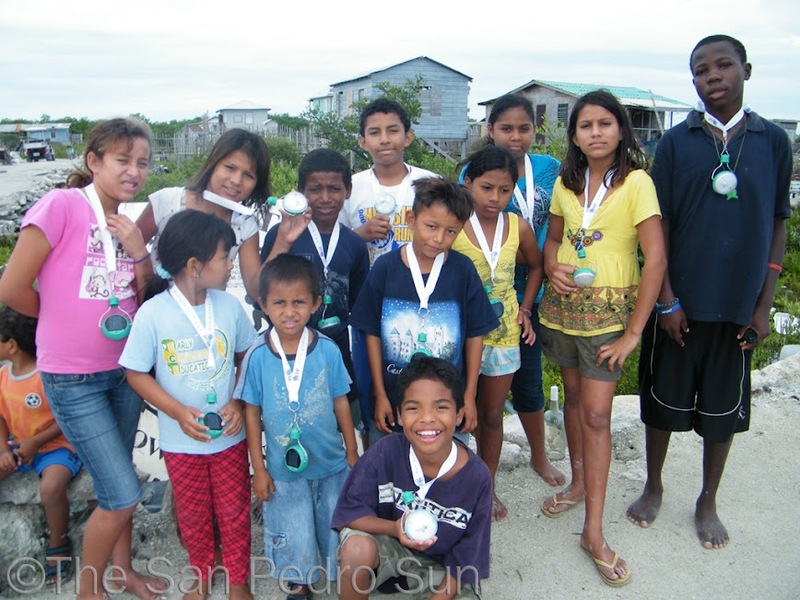 This time when the Grid Earth Project returned to San Mateo, all the school children of San Mateo received a solar light. 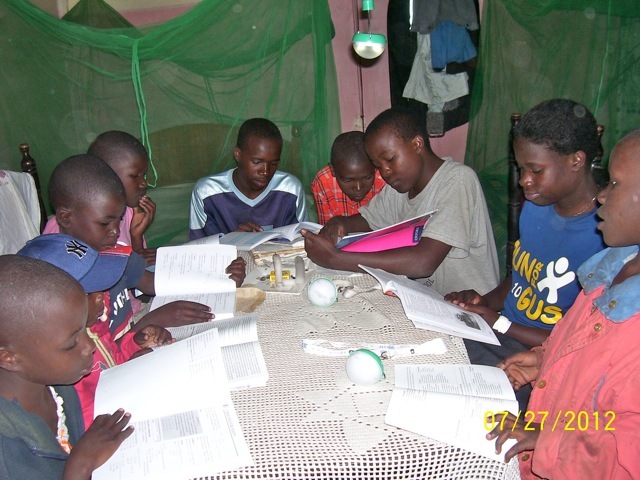 Until recently children at this orphanage in Kenya were reading by candle light. A remote tribe in the rainforest of Panama is struggling to survive. The Grid Earth Project, is pleased to participate in this effort. A donation of 50 solar powered LED lights to the children of San Mateo was made by US-based Charity, The Grid Earth Project to aid in their education. A young school girl was walking a mile in the dark to do her homework under a street lamp until a visit from the Grid Earth Project . 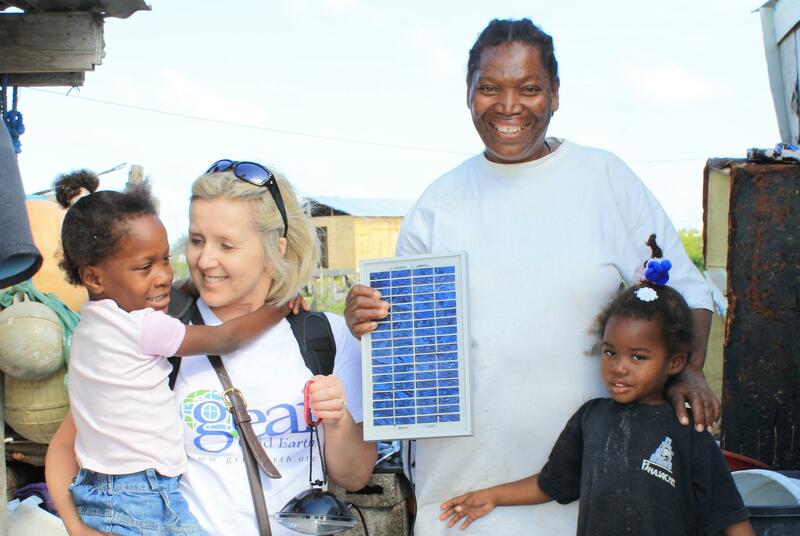 The Rotary Club of Huntsville, TX has joined forces with an Austin, TX based organization called The Grid Earth Project to provide solar powered household lamps to the Village of Gracie Rock. Home to extended family of our good friends in Bomba, Corozalito is a small hardworking village off the Old Northern Highway running up the east side of Belize. Totally dependent on dangerous kerosene for light, the families of Corozalito will now have safe solar powered LED lighting for reading and studying at night. In order to reach the Village of Maypen you must first cross this bridge which spans the beautiful Belize River. Rockstone Pond is located in the shadow of an ancient Mayan Pyramid at Altun Ha and some local residents still light their homes they way their ancestors have for thousands of years. The Grid Earth Projects continued efforts to provide safe solar powered household lighting is directly bringing hope to the residents of San Mateo Village. 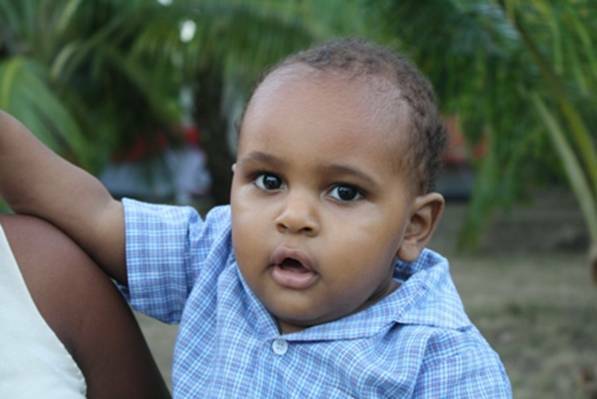 One woman shares her story about her children who are now able to do their homework at night. Nagu Bank in Belize is an incredible journey from the Caribbean coast along the Northern River. The primary access to the village is by boat, and the sights and sounds of the jungle river are pristine and unfamiliar. 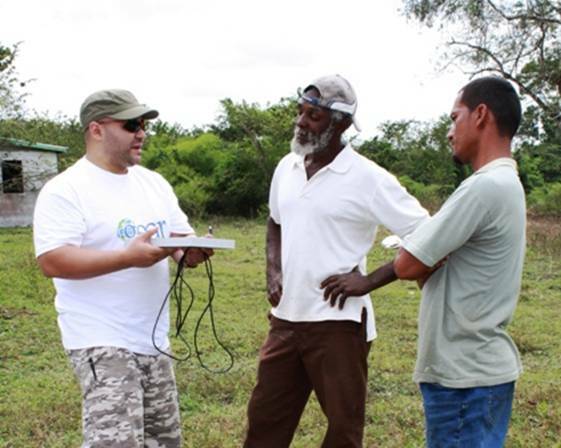 In 2010 the village of Bomba in Belize took a 150 year leap forward in technology in one day with help from the Grid Earth Project.